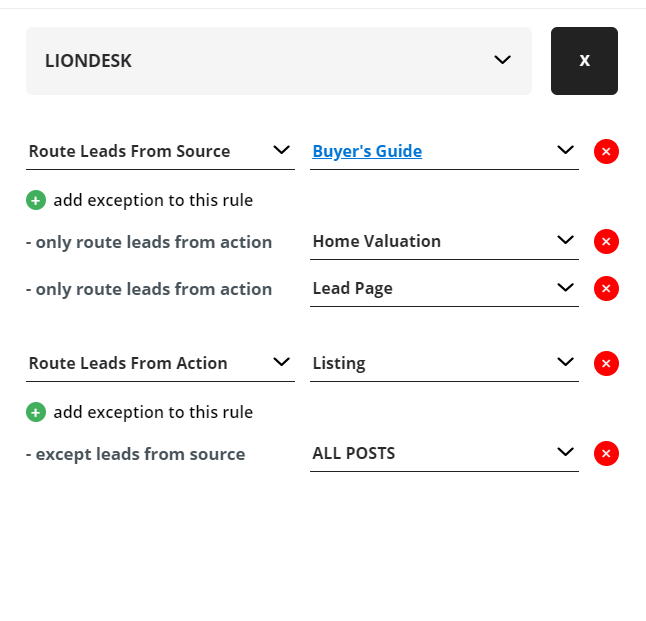 Learn how to add custom lead routing rules. 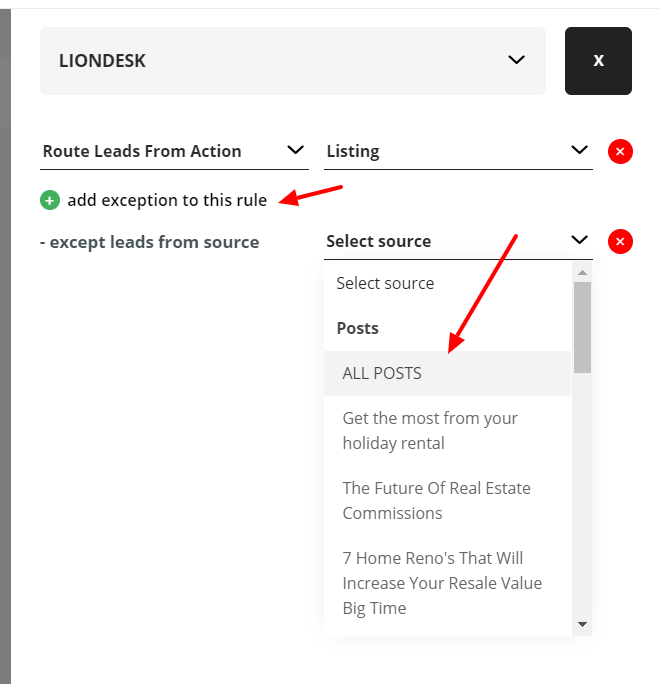 Inside the Lead Manager, you will notice a button on the right side, which serves for setting up custom Lead Routing rules. 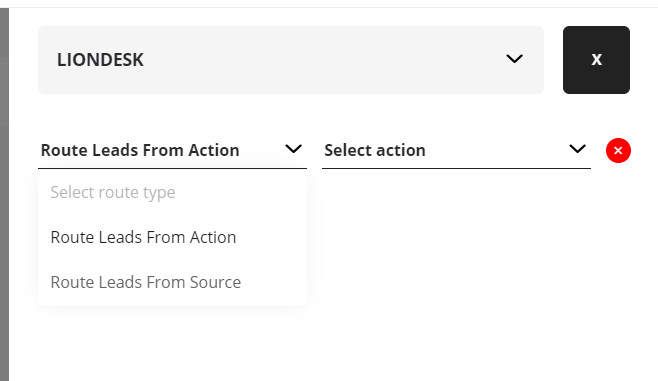 As you click on it, a new window will open on the right side of the screen, where you can choose for which connected CRM you want to setup custom routing rules. 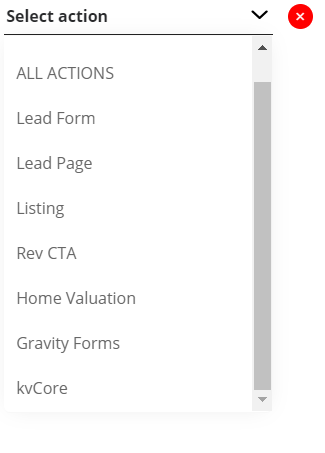 You can route leads from specific site actions users take, such as engaging with the Engage plugin or using the Home Valuation Tool by selecting one from the dropdown. 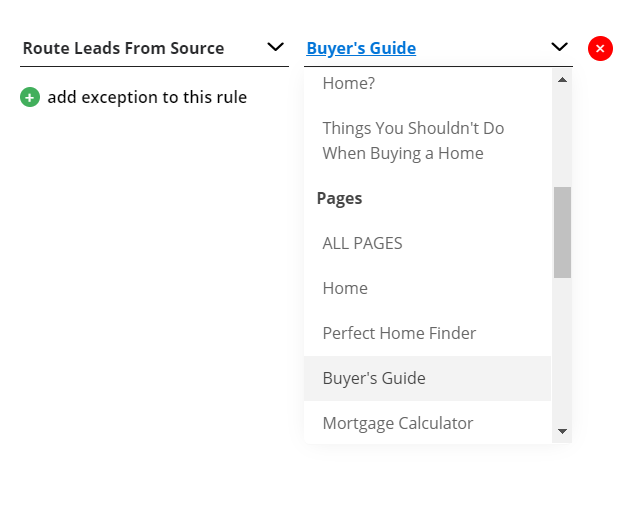 You can also exclude leads from some of the sources ( In this example all blog posts). 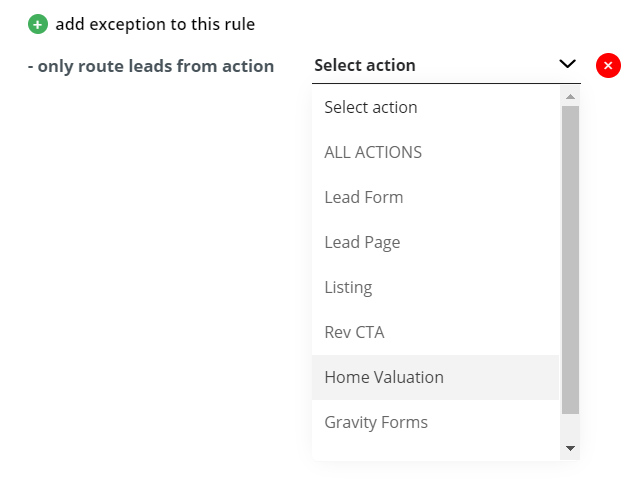 Note: You can add multiple routing rules, exceptions, etc. 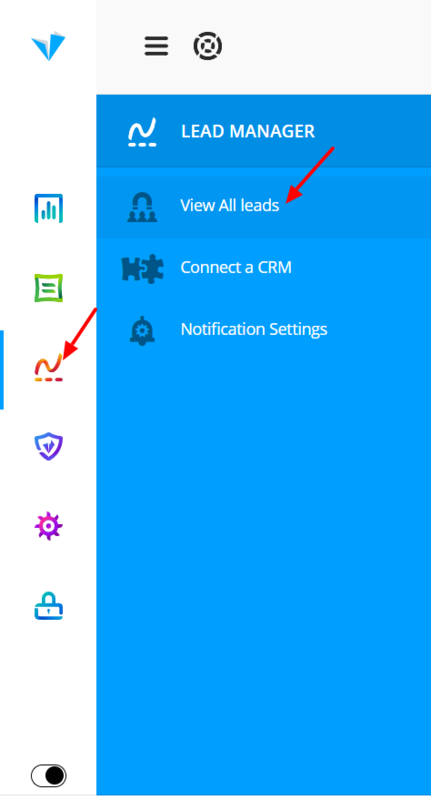 to get the desired lead routing.